1. In a blender, combine 30 mL olive oil, 30 mL lemon juice, 2 mL salt, hemp seeds, water and nutritional yeast. Blend at high speed until smooth. Cover and set aside. 2. Remove greens from beets, cutting off and discarding stems. Set leaves aside. Using a vegetable peeler, peel beets. Using a mandoline, slice beets approximately 3 mm thick. Stack slices on top of each other and, using a sharp chef’s knife, cut into strips approximately 3 mm wide. Place in a bowl, cover and set aside. 3. On cutting board, roll up beet greens to form cylindrical shapes. Using a sharp chef’s knife, cut cylinders into strips approximately 3 mm thick. 4. In a bowl, combine greens, beets and remaining olive oil, lemon juice and salt. Toss until well combined. Cover and set aside for 5 minutes, until softened. 5. Toss hemp seed sauce with beet mixture. Serve immediately or cover and refrigerate for up to 2 days. Typically beets can be purchased with or without the greens attached. 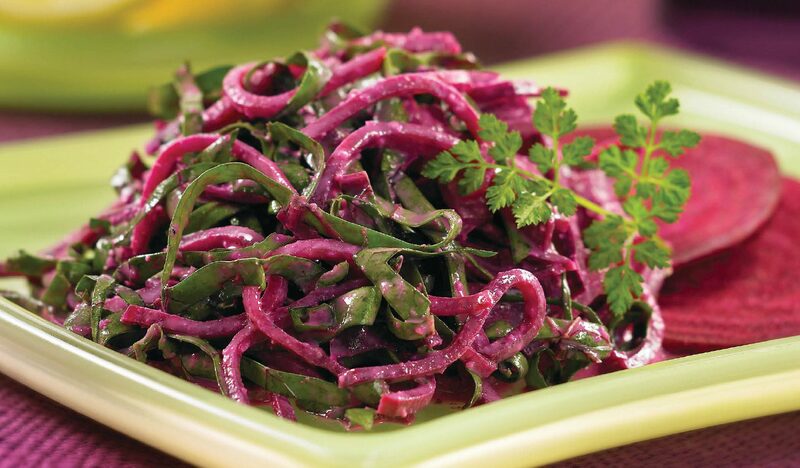 If you are unable to find beets with the greens attached, substitute 500 mL finely sliced kale for the beet greens. Use any type of beet for this recipe. Red, golden and candy cane beets work equally well. 1. In a blender, combine 250 mL cashews, water, 15 mL lemon juice, curry powder and 1 mL salt. Blend at high speed until smooth. Cover and set aside. 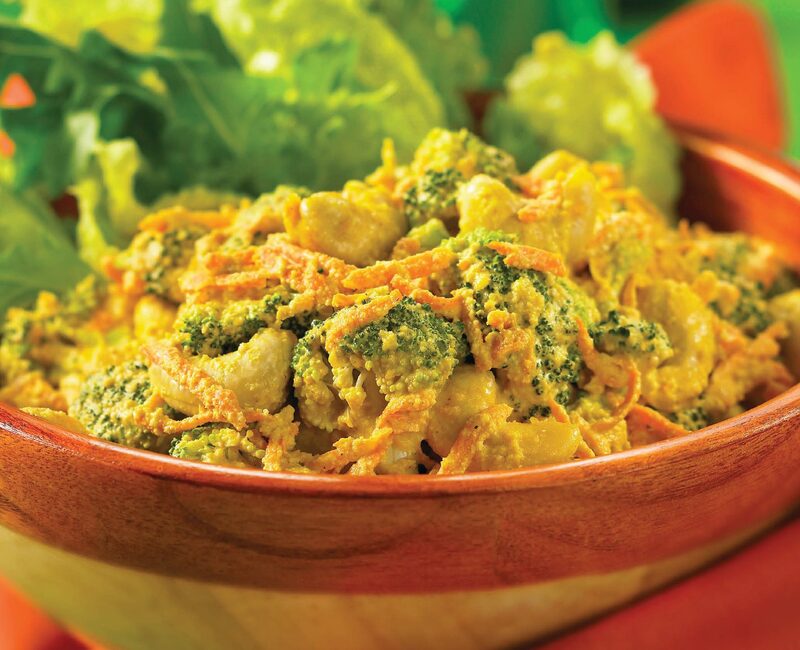 Replace the curry powder with an equal amount of garam masala and the broccoli with an equal amount of cauliflower. I often add 10 mL finely grated ginger root to the vegetables. Try substituting an equal amount of thinly sliced leafy greens, such as spinach, kale, dandelion greens or mustard greens, in place of the broccoli. I prefer to use organic sea salt. This type of salt is classified as a whole food and is said to contain many trace minerals. If salt intake is something you are concerned about, feel free to use less than called for or omit it completely. 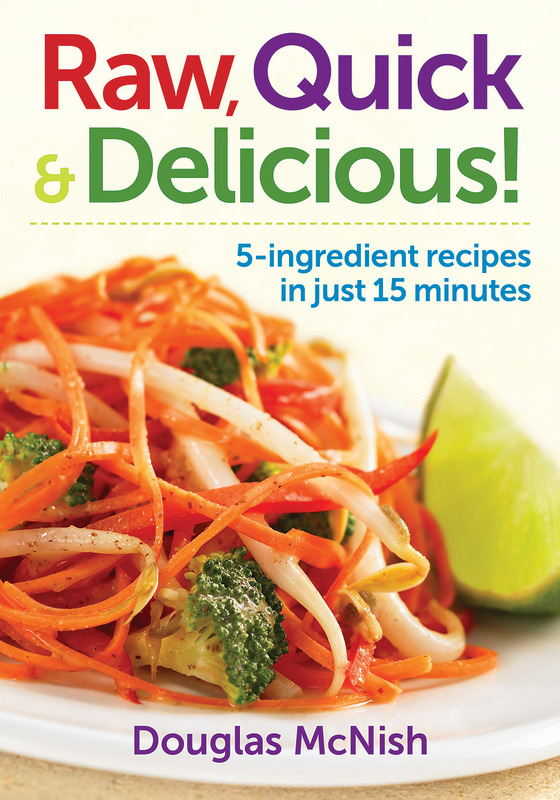 Excerpted from Raw, Quick & Delicious!